Turns out, you can enjoy some Mario and Pilotwings without a 3DS. Sort of. When it comes to portable gaming, most diehard Nintendo fans would probably choose a DS or 3DS over an iOS and Google-powered device, which is perfectly fine, as the big N provides unique experiences they can't find anywhere else. Inevitably, though, many of these same people will buy smartphones and tablets, both of which have a fine selection of Nintendo-inspired titles to enjoy. On that note, here are a few iPhone, iPad and Android games that bear a striking resemblance to some of Nintendo's greatest hits. Here's a game that challenges users to unlock, raise and then train a bunch of monsters that belong to different types, be it Earth, Fire, Wind or Water. From there, they pit their pets in battles against the computer in the hope of emerging victorious and leveling up. Hmm, where have we seen that premise before? Turns out, quite a few Pokemon clones exist on the App Store, but few possess the high-level production values of Gameloft's free-to-play effort. Sure, Monster Life doesn't come close to being as good as Pokemon, but to some Nintendo fans, it may serve as a decent substitute. You know, for when the 3DS is in the shop. Let's face it, Nintendo has no immediate plans to bring a new Advance Wars to 3DS. 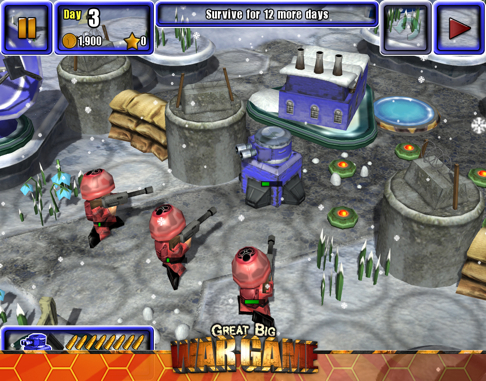 Our advice, therefore, is to go with the next best thing, Rubicon Development's Great Big War Game. Inspired by Advance Wars, this excellent turn-based strategy game pits the red and blue armies against each other, as players obsess over the battle map searching for weak points. They'll produce a variety of units with signature abilities, launch vehicles on land, sea and air, then do their best to capture/destroy the enemy HQ. We love the deep and rewarding single-player campaign, but asynchronous online/offline multiplayer is where it's at. 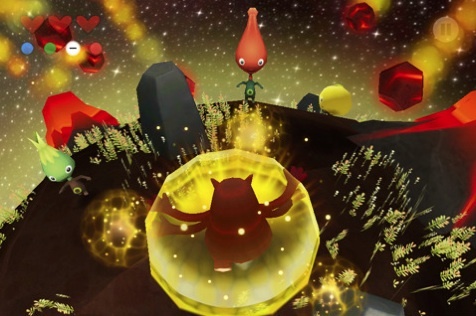 It doesn't take a genius to see the uncanny resemblance between this game and Nintendo's own Super Mario Galaxy titles, as a multi-armed alien wanders around 3D planetoids smacking a variety of critters. It may not have the depth of Mario's adventures, but the beautiful graphics, fun music and tight controls make Get Outta My Galaxy! a sweet alternative, as well as the closest thing Nintendo fans will get to playing Super Mario Galaxy on a handheld, at least for the time being. Oh, well hello there, Animal Crossing. 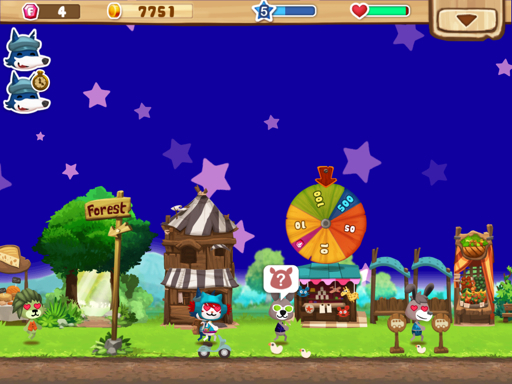 Happy Street takes some light inspiration from Nintendo's adorable franchise, as you interact with a variety of anthropomorphic animals to complete various missions, including a bunch of fetch quests. 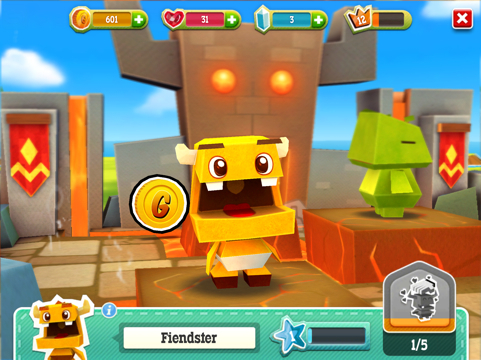 This is where the similarities mostly end, since the primary goal in Happy Street is to constantly expand so that players can create new businesses and make as much cash as possible. At this point, the chance of seeing a brand-new Punch-Out!! 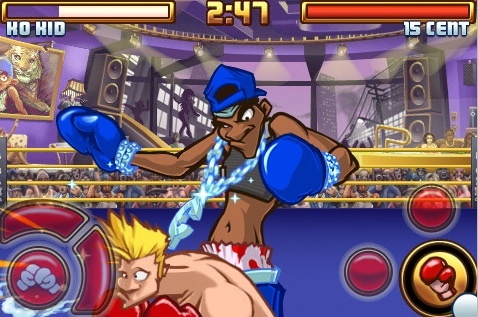 for 3DS appear slim and none, but don't worry, as Super KO Boxing 2 does a marvelous job delivering a similar experience for iPhone and iPad. It even follows the same formula, as you take control of an upstart boxer charged with defeating 15 opponents with larger-than-life personalities. Case in point, the super blinged out 15 Cent. And, just like Punch-Out! !, they all have weaknesses to exploit. 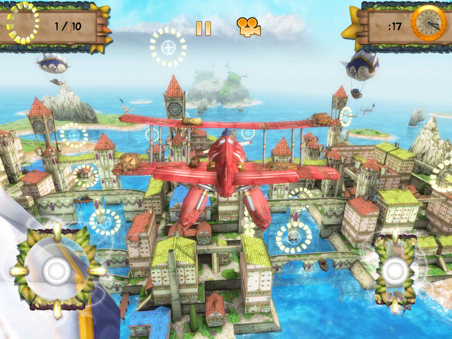 Chillingo captivated mobile audiences with this visually stimulating iOS game that sends players on missions via airplane to rescue friends from tyranny, but without firing machine guns. Instead, you ferry supplies and pull off death-defying maneuvers. Sort of like Pilotwings Resort, but with an evil empire and city under siege. Yup, Air Mail's a winner. The whole brain craze may have ended, but that doesn't mean you won't have some fun with this Brain Age-style effort from Gameloft. 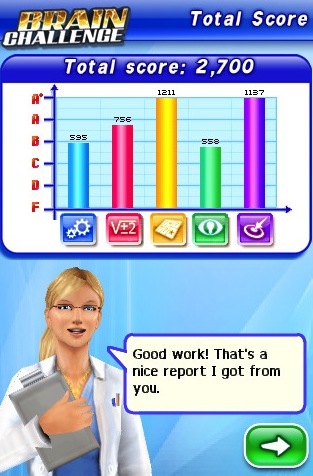 In it, you'll find 43 different mini-games spread across five categories (Visual Memory, Logic, Math, Focus). Throughout the course of these mental gymnastics, Brain Challenge tracks your progress with detailed stat charts measuring personal growth. In other words, just like in Brain Age. 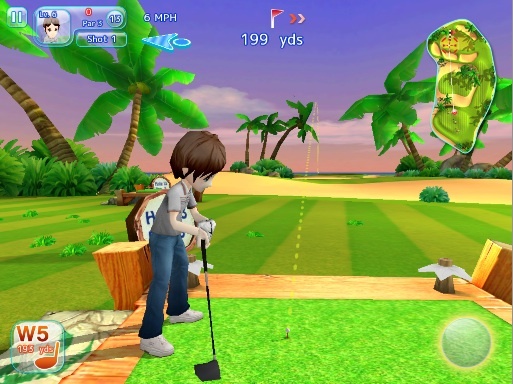 Sure, it's fun to hit the golf course with Mario and friends, but there's no denying the appeal of Gameloft's free-to-play sports game, Let's Golf 3. This cartoon-style game features a plethora of fantasy courses to sample, including Egypt, Italy and outer space. You can purchase new gear and outfits for your golf pro, and even compete against others online. It's a full-featured and fun mobile game that makes those dusty Mario Golfs seem old by comparison.